I managed to just pass the 2 hour mark (1/6 of the book). The story feels more like exposition from some fantasy game rulebook than something meant to be taken as an actual story. I don't know if the characters were meant to be so annoying and grating or if the performance just made them that way, but this was the first book I won't be completing in a long time. I was hooked within minutes. What a blast! Never a dull moment in this book. The stories revolves around Cal and Dale. Cal is a new born dungeon. With the help of his bonded wisp, Dani, his sole focus is to become a stronger dungeon. Like a newborn baby, he has no knowledge of the world. He sees everything with child like fascination and curiosity. He doesn't kill for fun or malice, he is born to kill the explorers that enter him. Watching him grow as a dungeon is absolutely fascinating. Dale is a sheep herder that first discovered Cal, taking ownership of him and the mountain he resides on. Within moments of his introduction, he does something that made me question his person. When the only other surviving member of the group refuses to share the dungeon ownership, Dale kills him. From then on, everything he does I took with a grain of salt. However, through fantastic character development, he redeems himself as a person though I still preferred reading Cal's storyline. This is a fantastic introduction into a world full of mystic beings and endless possibilities of magic. I can't wait to get started on the next book. I enjoyed reading this novel, more than I did listening to it. The glee in the dungeon voice, as people were dying did bug me a bit. I originally picked this up as a deal of the week. I did not know what to expect. I loved it from start to finish. Krout's narrative through out the novel can be a little campy at times but it just adds to the enjoyment. Vikas Adam makes this book with his performance and it truly is that a performance. 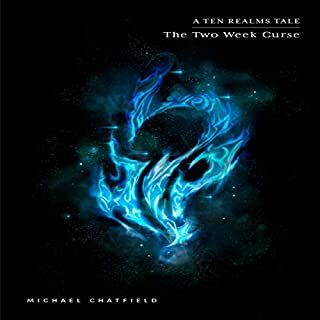 In the novel you follow the intertwined lives of Cal and Dale one is a newly formed Dungeon Core who with the help of his trusty Wisp Danni is just trying to grow and survive in the hard world. 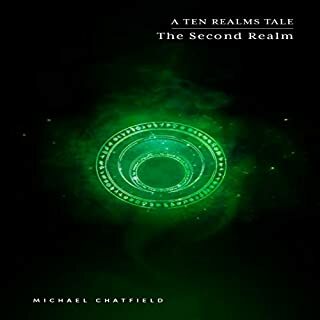 The other is a Sheppard whose life is altered when he and his fellows find a resource that is sure to attract adventures from all over the land a neutral affinity dungeon. In a word this book if fun. I have listened to it 10-15 times since i picked it up. 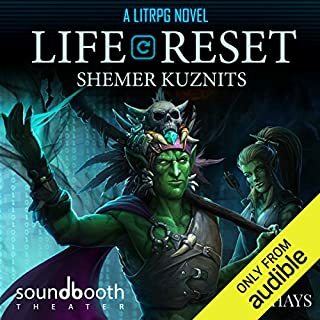 I stumbled upon this book while sifting through the Audible store. 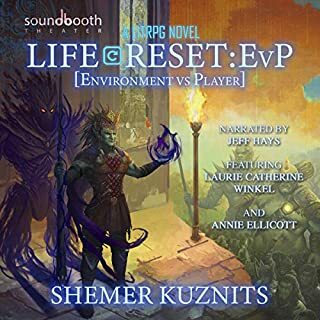 It sounded like a fun twist on the RPG World style fiction that I have recently been drawn to. What I did not expect is how quickly I would get drawn into the world that Dakota was spinning. 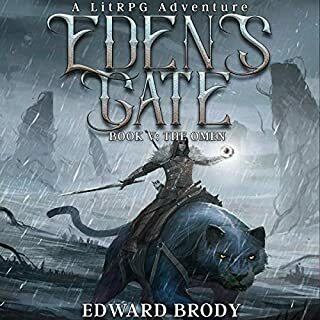 This story takes you through the nostalgia filled settings of many a great RPG/Fantasy World from a perspective that I never even thought to envision; through the eyes of a young and only recently sentient Dungeon Core. You the dungeon through discovery after discovery as it comes into it's own developing itself into a great dungeon worthy of the best adventurers. 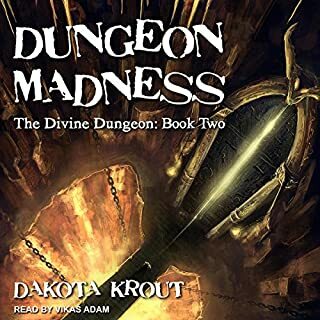 Dakota weaves the mechanics of the symbiotic relationship between Dungeon, Adventurer, and Society as all grow and evolve around each other. 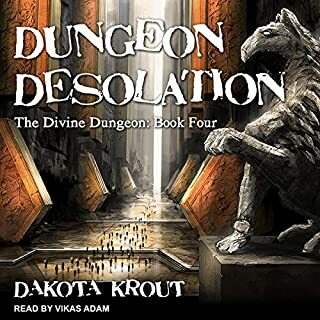 With the Audiobook, Vikas Adam excellently portrays the childish wonder behind the young and growing sentience that is the Dungeon Core. 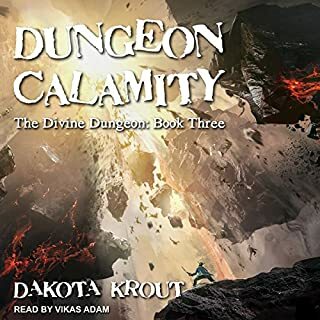 I feel Vikas portrayed the personalities of Dakota's characters so well that, even though I am dying to move on to book two, I feel I must wait for the next Audiobook to be released so that I can experience the book in all the excellence that is created via the pairing of Dakota and Vika's work. I highly recommend checking this book out and I will be sharing it with all my friends. 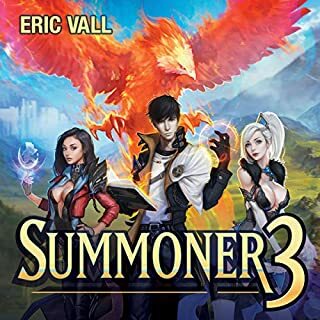 I had heard this story compared to Ready Player One, but where that was a futurist game going back to earlier well known games, this one was more like going back to beginning game programming. Back when you programmed in DOS. I remember writing little programs where first you learned to put a pixel character on screen, then learned how to move the character around, then learned to make the character interact with other things you programmed. This book reminded me of that. First Cal learned to create things, then learned to move them around, then each time he would see how his little monsters interacted, he would go back and re-do them to make them better. 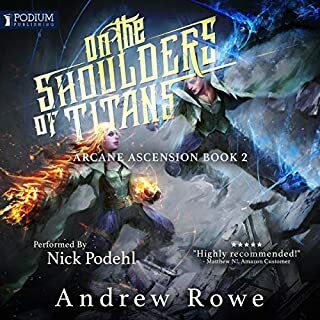 I think this would be teen - young adult range, but as a (sometimes) adult I still enjoyed the story and would go onto the second in this series, just to find out all the changes the dungeon would come up. 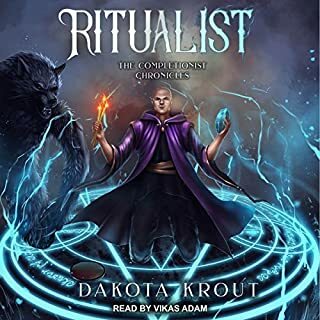 Since I listened to this as an audiobook, the narrator, Vikas Adam, did a good job on all the characters. The Dungeon Heart (Cal) and his little willow-o-wisp (Danny) were portrayed in young pre-teen voices and like most pre-teens they seemed to get into little arguments over nothings. Vikas did a good job portraying their teen angst. Reads like a video game tutorial written to sell future games in the series. Interesting concept, but no closure to the story, it just stops. The performance of the book is excellent, though. Dungeon Born is a book I wanted badly to like. 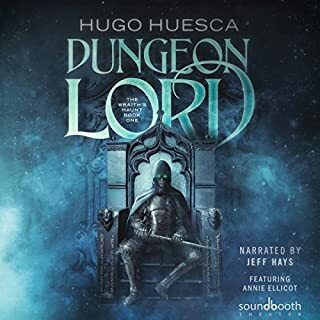 It promised an unconventional story told from the perspective of a dungeon - how cool - and had it followed through on this premise, I would have hung on every word. Unfortunately, it let me down on multiple levels (pun intended). The first four chapters were an absolute slog, a &quot;tutorial&quot; of sorts that instruct the reader on the rules of dungeon building. I understand that this is probably a calculated risk that the author takes, but it still could have answered the who, what, where of the story, instead of just the how. What it does do is clue the reader into the fact that Dungeon Born takes place in a game world, where visions, hopes and dreams matter less than rank, loot and gold. Cal, the dungeon-main character, is thinly painted, and I still don't understand his motivations or his backstory (although I guess it has to do with the necromancer in the epilogue). Despite the book's rocky start, I was looking forward to following Cal and his sidekick Dani as the focus of the book. The introduction of Dale spoils that. Dale and his friends are the first to enter the dungeon, and we have Dale murder his obnoxious jerk of a party member before he exits, leaving him as the sole survivor and beneficiary of the knowledge of the dungeon. Dale then goes on to buy the land the dungeon sits on, and wheel and deal his way to greater fortunes and rank. He had all the makings of a good antagonist, a villain that Cal will eventually swallow up, except that he isn't. We come to learn that he, too, is a protagonist, which is odd considering the initial premise of the book (a fantasy tale told from the perspective of a dungeon). Having Dale as the de facto protagonist wouldn't be so bad if the world he inhabited weren't completely borrowed from World of Warcraft and Lord of the Rings. It has both dark elves and high elves. It uses the concept of video game guilds, which is different than what a guild would usually mean in a true fantasy world. It has barbarians modeled after Conan, even though they seem out of place. Dungeon Born promises an unconventional story, and then baits and switches it with the most conventional story of all. It's as if we were sitting down to read Rosencranz and Guildenstern are Dead, only to be fooled into reading about Romeo and Juliet instead. I'm glad there are people that like this book, even if I am not one of them. There were certainly moments I enjoyed (for example, having people automatically removed from the mountain by simply saying that weren't welcome made for a good visual). The battles were well-written and easy-to-follow. The final boss and ending seemed inspired. But having Cal and Dani take a backseat to a guy I personally had a hard time rooting for - a murderer whose greatest instincts are those of a businessman - ultimately killed the story for me. To anyone who enjoys fantasy RPG games, including old school paper Dungeons &amp; Dragons, the premise of this book is an interesting one. Why are there so many dungeons around just sitting there waiting for a party of adventures to come and plunder them? How did they get there and where did the monsters come from? What do those monsters in each room do all day long when the dungeon is not being raided? How can a rat drop a helmet twice its size as loot after it is killed? 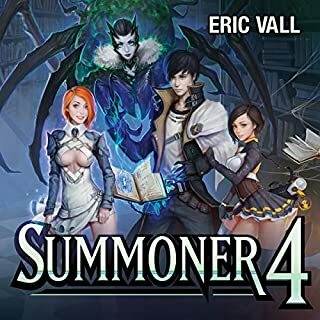 Well this book attempts to explain all of that and while a tongue in cheek book about the illogic of fantasy RPG video games may sound like fun, let me tell you why you might want to avoid this one. This review serves as a word of warning to anyone interested in this book that you should put some extra effort into your screening process before deciding to pick it up. The book itself is fun at times but the majority is mediocre at best and sometimes it is just downright poorly written. 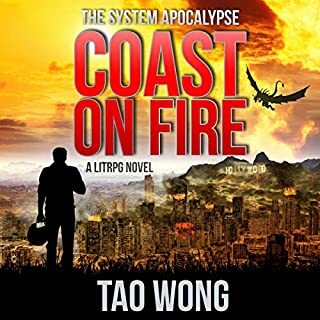 This makes me question the many 5 stars ratings of this book on Amazon and Audible. Even very popular, best selling works by talented authors don't garner such ratings. My advice to you is that you should go out of your way to look at some of the lower rated comments on Amazon as well as the good ones to allow yourself to form a balanced opinion. 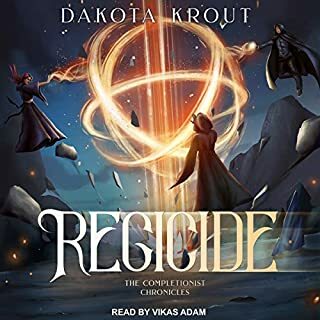 Don't forget that people who return the book on Audible don't get to post a review. 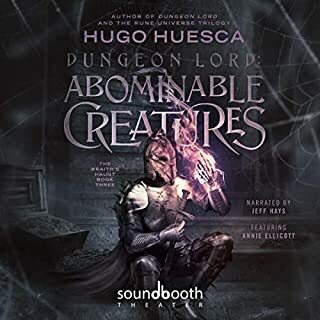 The over-emoted narration of the audiobook is often beyond annoying with the first few hours of dialogue between the dungeon and the wisp being quite painful. 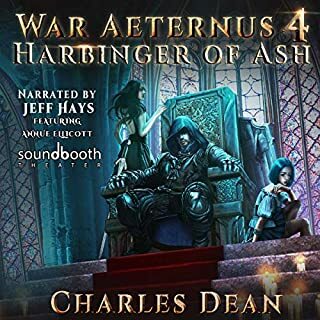 I certainly encourage you to listen to the sample here on Audible to decide for yourself if the narration is ok for you or not. Note that they carefully avoided the really bad over-emoting in the audio sample but you can still experience a few hints of it. Vikas Adam clearly has talent but any time there is dialogue between the dungeon and the wisp his reading makes me cringe. 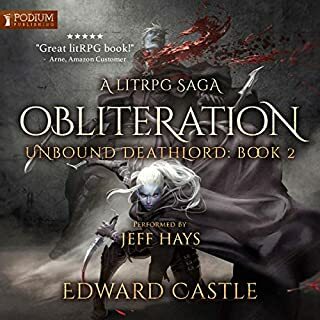 I quickly decided during the very annoying first few hours of the book to return it to Audible to get my money back, which made me wonder why the other reviews did not warn me off. So I decided to finish listening, just in case there was indeed a 5 star listen hiding behind a slow start, but sadly, there is not. At least by not returning it I can post this review to offer a different opinion, but I suspect it will get buried by unhelpful votes from those behind the skewed ratings. I really wanted to like this book, but I just don’t care. I am not interested in any of the characters. All I can think of is “I listened to this for 12 hours and I have no interest”. interesting idea with terrible execution. over all this book leaves me feeling disappointed. It has such a compelling concept and idea that I couldn't help but get excited about it but it's terrible execution left me wanting. The author has a childishly immature way of narrating the story that made me cringe at its awkwardness. the characters were flat and two-dimensional, their interactions were cringe-worthy and lackluster. the voice actor acted the crap out of it but the poor material just made it feel awkward. I dont think Ive finished an audiobook faster. 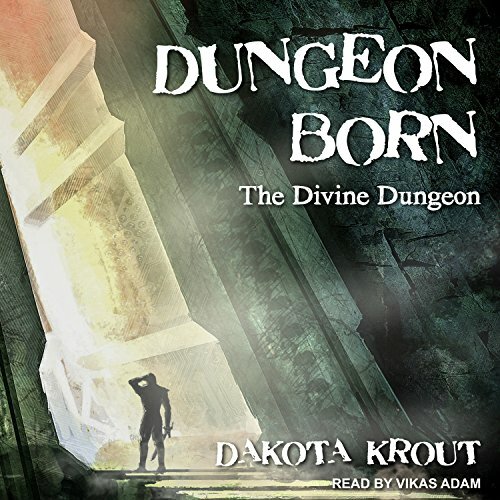 What did you love best about Dungeon Born? The nature of Cal and the dungeon. It was endearing and to be honest reminded me of myself when I was a child. The insatiable pursuit for knowledge and understanding. It helped that Cal was generally hilarious. He wanted to learn, to grow, but help while he did it. It was heart-warming in an odd way. Two things: The unique point of view from Cal and his story -It wasn't as cut and dry as I expected. It was unique and I genuinely was surprised by some of the directions the book took. Plus I've always really wanted to know what a dungeon core was thinking. Pretty great insight on one, if you ask meCharacters felt real. They melded well and all had a really believable feeling to them. Their speech was something I could hear being a real interaction. For the most part, it wasn't stunted or robotic, it sounded organic. There were some cheesy characters, but they never took away from the story. They didn't take away from the other characters conversing. That's a hard choice. If I HAD to pick I dont think I could between three of them. Hanz, Dani, and Cal were all very solid. Cal was realistic in an odd way, even though it was hard to put myself in his place, it was explained and performed well enough that there were times I would lose myself to what I was seeing and hearing. And it felt nice! And the earlier days reminded me of myself as a child. Always wanting to learn and help. Then later reward those that able to think things out and act accordingly. Dani was probably the best in terms of dialogue to me. Her shifts in mood and bossy nature are familiar and made me grin. I know someone a lot like her, so she was instantly a character that I felt I knew and liked a lot. Her quips almost always were able to illicit a reaction, be it a grin or an eyeroll. Plus her voice was spot on. The second I heard it, there was no doubt that there could be another voice for her. Vikas nailed it. Hanz was just.. Hanz! A somewhat highbrow trickster, funny and deadly! Wasnt afraid to get his hands dirty though. He's hard to explain and complex - though I feel that is through lack of information at the moment. The guy is a good guy and always good for a smile or laugh. I cant say without spoiling. There a part near the end though, I was almost in tears and cheering for a group. I really wanted to see them succeed. Its not a terribly long book. Which is the biggest down side! I wanted to hear more and I am so tempted to buy the next one rather than wait for the audio. Vikas's performance really takes it to the next level and I cant ruin that. Overall, this is probably one of my favorite books and listens of the past 2 or so years. I cant wait for the next one to come out. TL;DR - The book is great. Story is exciting, Vikas has hiccups in the beginning it feels, but quickly smoothes out to being the perfect fit, characters all feel like real people. If you love fantasy. Buy it. If you ever were a game nerd and always wondered what a dungeon core was like, how things happened in the dungeon when you weren't there, buy it. Its not too long and well worth the listen. This isn't a story, it's a description of a cool video game world. But there is no story. There are two characters who are mostly two-dimensional, and zero plot line: instead it follows a RPG-style game line of advancement and &quot;leveling up&quot;. I strongly suggest that the author try taking some classes and reading some books about basic story development and what constitutes story, plot, and character. The narrator did a great job, making the characters seem more interesting than they were written. Very interesting premise. Disappointing execution. I like the ideas, world building, and arc of this story, but I feel like it's let down by poor overall writing and performance. I think the author might be fairly new, I'd like to see how his next books turn out.